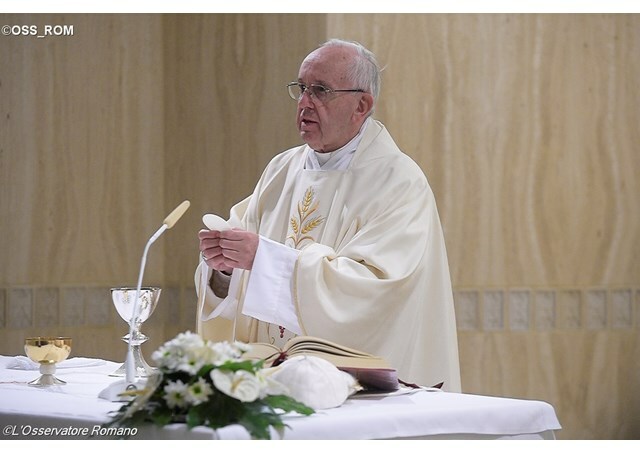 Catholic News World : Pope Francis 'Joy is the air Christians breathe' - "Christian joy is peace, peace that is deeply rooted, peace in the heart, the peace that only God can give." Pope Francis 'Joy is the air Christians breathe' - "Christian joy is peace, peace that is deeply rooted, peace in the heart, the peace that only God can give." Joy does not mean living from laugh to laugh. No, it’s not that. Joy is not entertainment. No, it’s not that. It is something else. Christian joy is peace, peace that is deeply rooted, peace in the heart, the peace that only God can give. This is Christian joy. It is not easy to foster this joy. Pope Francis lamented the fact that today’s culture contents itself with fragments of pleasure that never satisfy completely. Since joy it is a gift of the Spirit, it vibrates even “in turbulent moments and in the moment of trial”. There is a healthy restlessness, and there is another which is not healthy – that which seeks security above all, which seeks pleasure above all. The young man in the Gospel was afraid that if he gave up his wealth he would not be happy. Joy, consolation: this is our breath as Christians.